When two friends combine their respective birthdays into one big celebration, you know for sure It’s going to be HUGE. 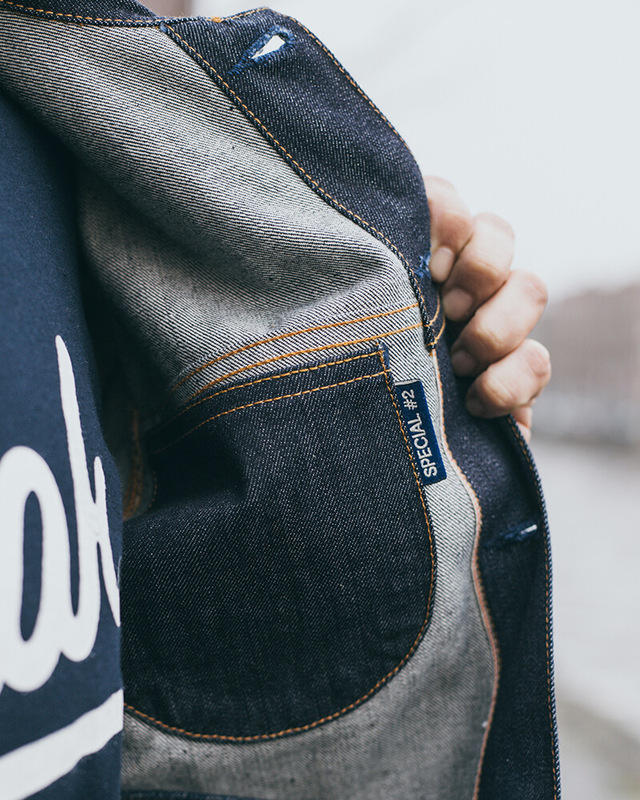 When Amsterdam based denim heavyweights BENZAK, and retail powerhouse Tenue De Nimes joined forces, we knew it would be something special. 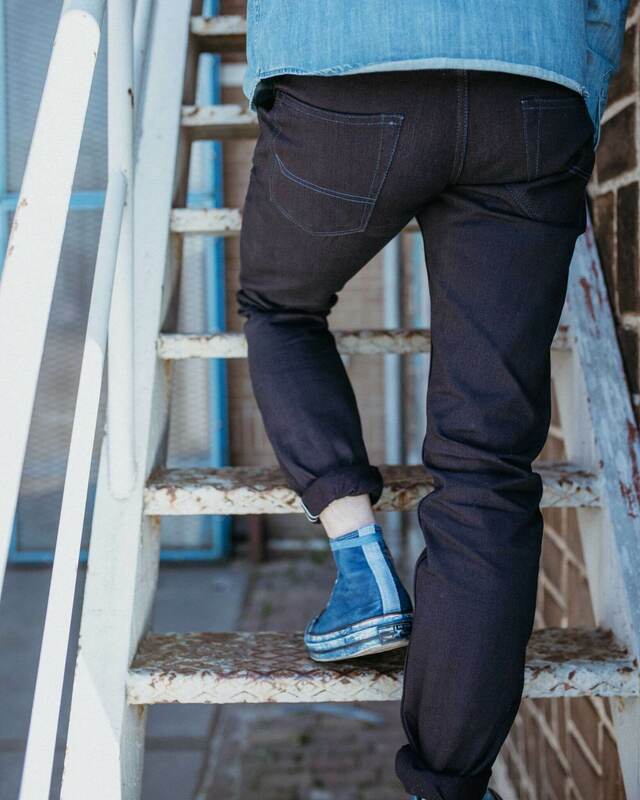 Both brands have recently released a variety of collaborations to pay respect to their anniversaries; arguably the BDDxTDN-006 anniversary jeans are one of the best yet. Not least because Tenue de Nîmes and BENZAK have been working alongside each other since the latter was established, but due to the careful consideration of product details and high quality of production. Photo courtesy of Koen Kuik. Tenue de Nîmes have been a prominent store in the denim scene for the last 10 years, with a global reach and reputation for high-quality product. Well-respected within the denim community, Tenue de Nîmes have two fantastic stores, highly trained staff and a consistent offering of the best International denim brands. 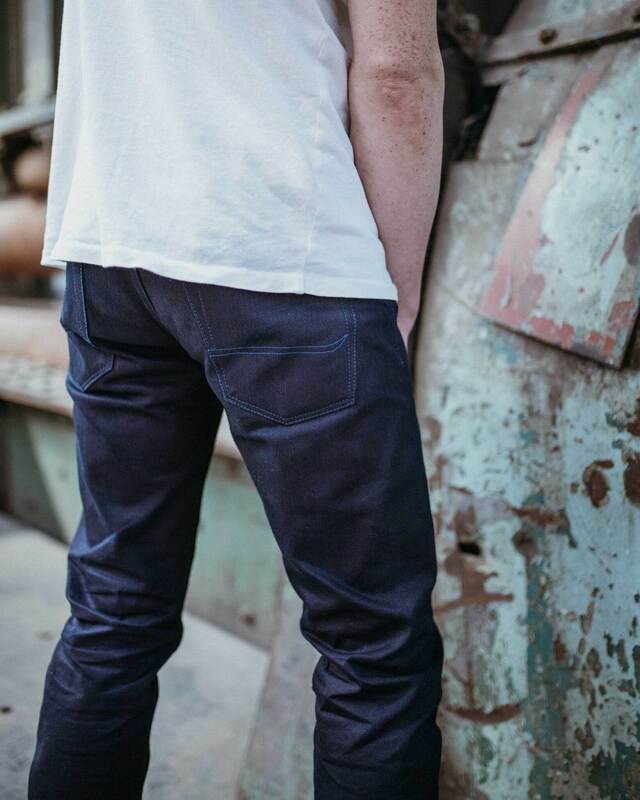 In 2015, they launched their very first limited collection of jeans and from there they steadily grew. 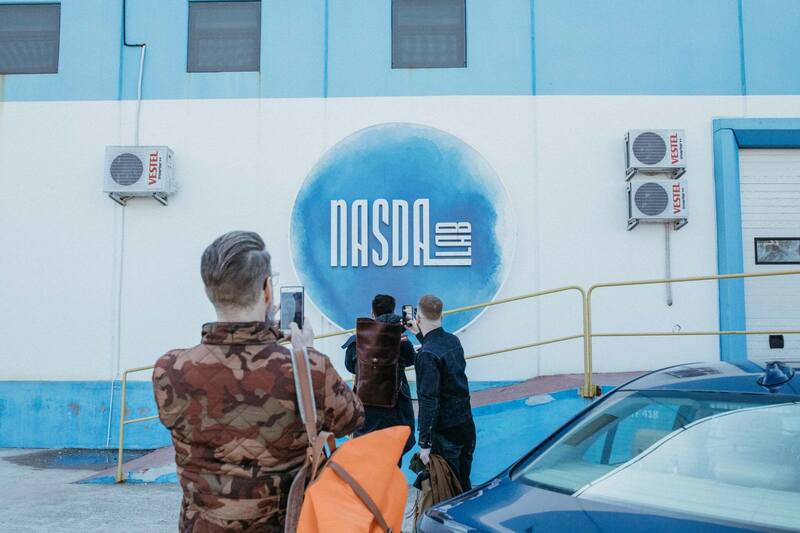 Fast forward to today and it has grown into a well-balanced and exciting brand for both men and woman. BENZAK on the other hand, is celebrating its fifth anniversary. 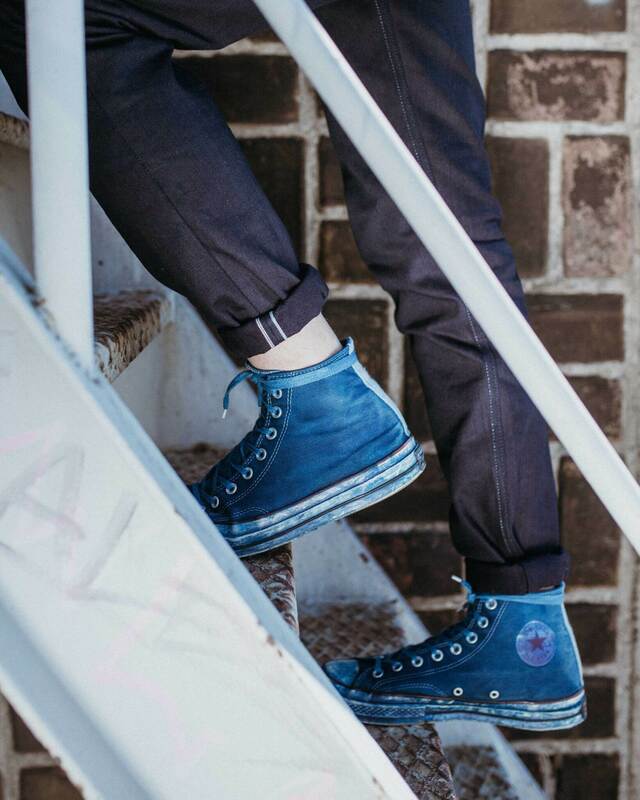 They have been a rising star of the denim world since the moment they stepped on the scene. But five years down the line and the term is no longer fitting for the brand. 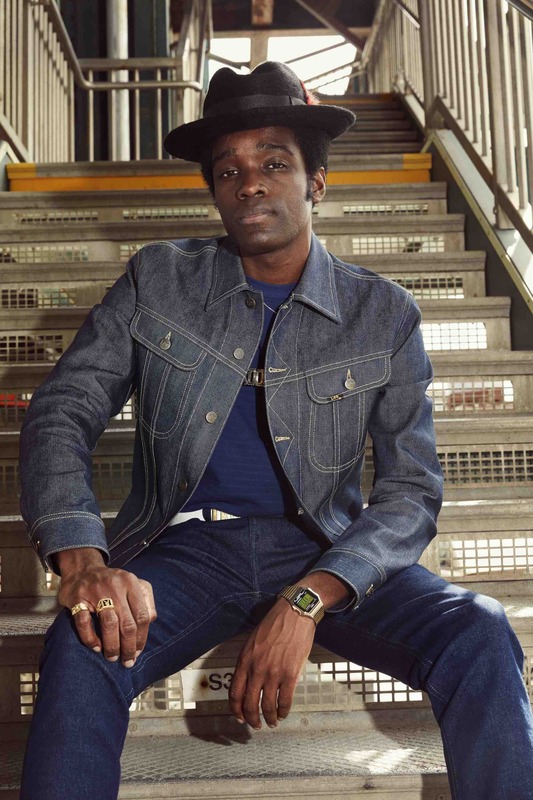 Arguably, they are now one of the most exciting denim brands of the moment who are releasing great product every season, with a focus on fabrics, fit and construction. 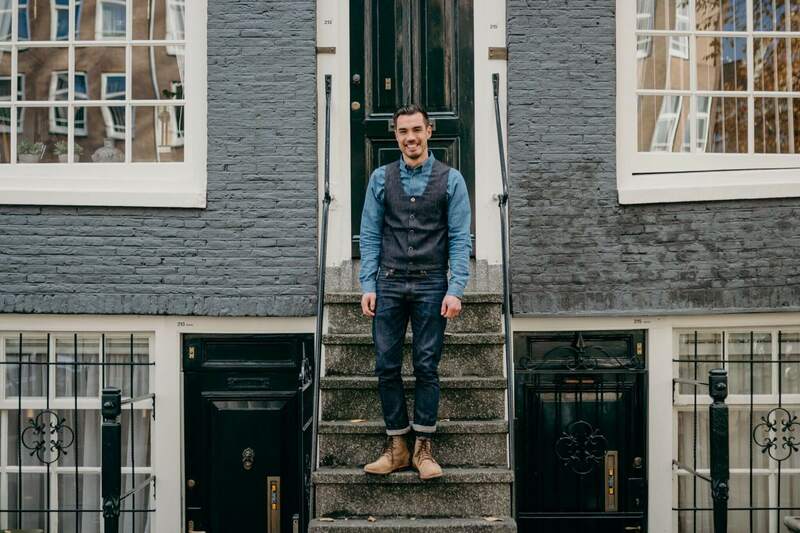 With a ‘made in Japan’ and a ‘European Made’ collection, BENZAK is offering essentials for every denimhead’s closet. What makes this collaboration even more poignant is that Tenue de Nîmes were the first official retailer for the BENZAK brand and the two are adding another chapter to their story of success through this landmark collaboration. 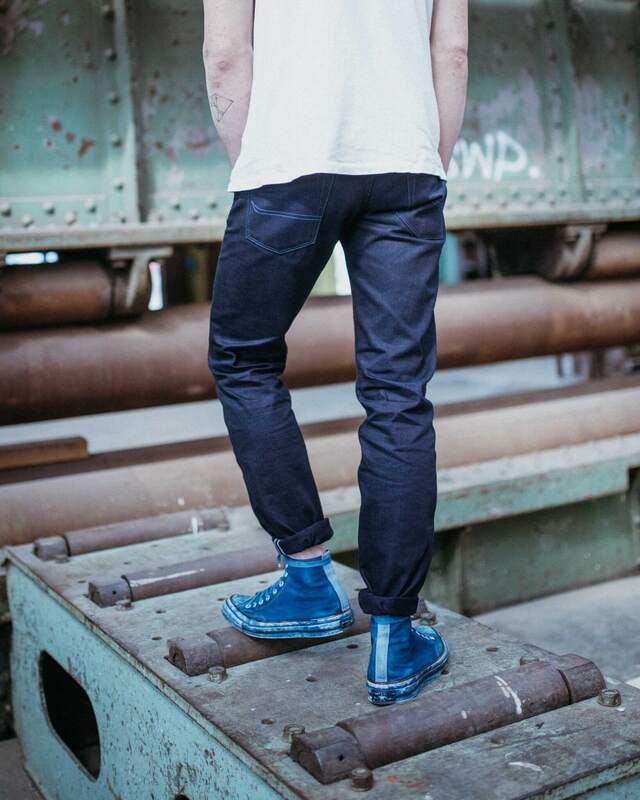 The anniversary jeans bare the name BDDxTDN-006 and come in one of BENZAKs most popular fits; the BDD-006. The BDD-006 is a slim fit with a modern mid-rise, a snug thigh and slim legs. It has been a part of the BENZAK offering since day one and has always been carried by Tenue de Nîmes. Due to its popularity, the two decided to use it for the collaboration. The 14 oz. Indigo x Indigo Selvedge is woven by Collect in Kojima, Okayama, Japan. It is named Indigo x Indigo because both the warp and weft are indigo dyed, causing a fantastic deep blue colour with incredible fade potential. After a few weeks of wear, the primary areas prone to fading will change into a bright blue hue before the white core of the yarns are then visible. 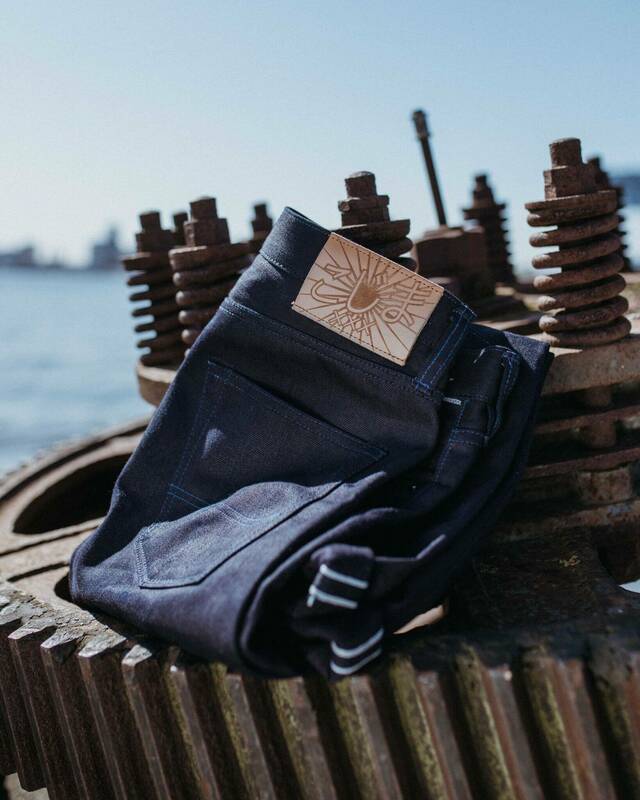 Instead of the usual brass and copper colored threads, the anniversary jeans are sewn with three tones of blue yarn. 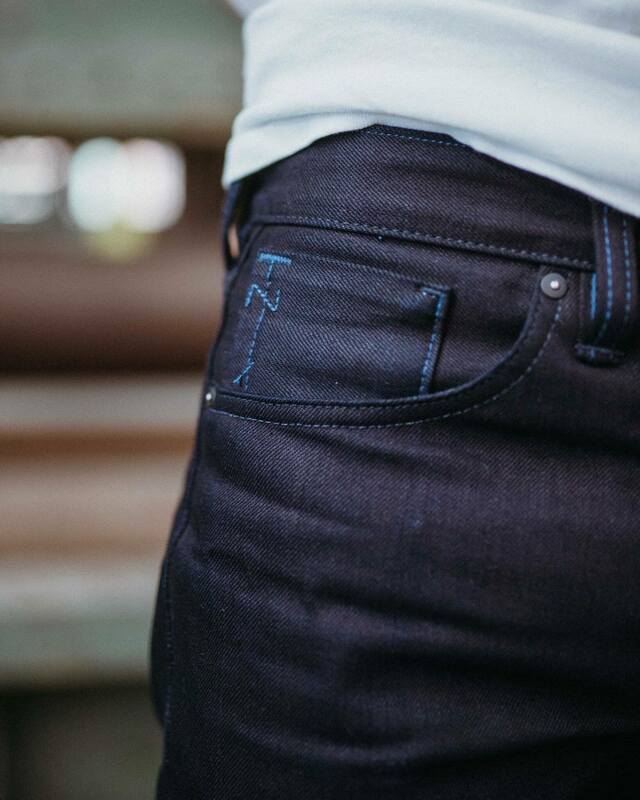 The coin pocket features the distinctive logo of Tenue de Nîmes, just like the jeans in their own collection. The vegetable tanned leather patch is embossed with the Japanese name for the city of Kojima, alongside three Xs, reflecting the city of Amsterdam. The BDDxTDN-006 is completely made in Kojima, Japan, and is a fitting tribute to mark the anniversary of two renowned and well-respected denim brands. The BDDxTDN-006 14 oz. 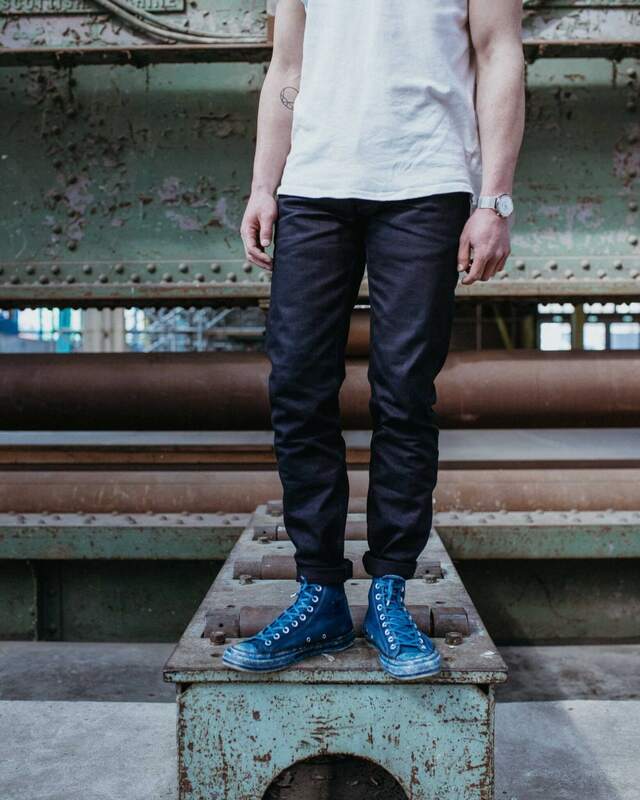 Indigo x Indigo selvedge is limited to only 60 pieces and comes at the price of €319. It is available exclusively at Tenue de Nimes stores as well as the Tenue de Nîmes and BENZAK web stores.